Flattened rice / Chira is also known as Poha, Powa, flat rice, Pressed rice, Flaked rice. Chirar Payesh / Flattened Rice Pudding is traditionally made in North part of Bangladesh (North Bengal) with Kataribhog Chira(which is aromatic and bit thicker than usual rice). 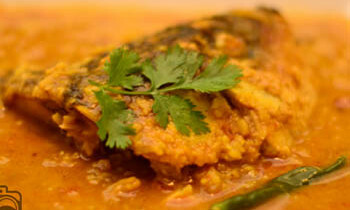 If you can’t find Kataribhog chira, use the thickest Flattened rice / Chira you get from market. For sweetness Khejurer gur (date sugar) is used traditionally, please try to use Khejurer gur (date sugar). If you are unable to get this, use brown sugar. Though it pretty simple dessert, you have to constant stir it .So make it when you have free enough time. Ingredients: ½ cup Flattened rice / Chira 2 tablespoon rice flour 2 and ½ litre milk 1 cup Khejurer gur ( date sugar) / brown sugar or to taste 2 cardamom pods How to make: Wash Flattened rice / Chira and strain the water. Need to be careful with wash it. After straining soak it with 1 cup milk. I know that Raita is not very traditional Bangladeshi food. Actually I am posting recipe on request. It is a healthy sauce or dip. I find that kids love Raita. Normally I make raita to taste as you go. If you follow taste as you go there is no chance to go wrong. Ingredients: • 1 cup Greek yogurt • ½ teaspoon chat masala • ½ teaspoon roasted cumin powder • ¼ teaspoon black salt • 1 teaspoon sugar How to make: 1. Beat yogurt well and add ingredients. 2. Mix again and put it in refrigerator. 3. 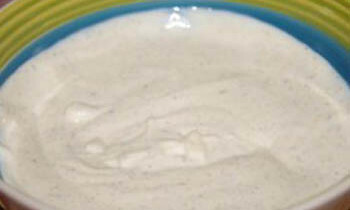 Serve Raita Chilled along with Biriyani, kabab or grilled chicken. Tips: If you want to cucumber raita. Grate cucumber and add in Plain raita. Same trick will go with carrot and mix vegetables raita.